Good grass like Pennisetum alopecuroides ‘Little Bunny‘ – Dwarf Fountain Grass is drought tolerant along with Stepable Thymus praecox ‘Elfin Pink‘, a nearly flat Thyme groundcover. 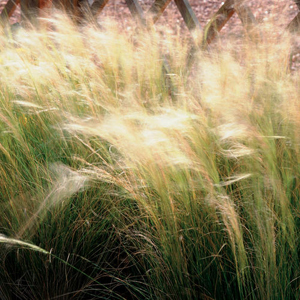 Designers love to use ornamental grasses to add structure and seasonal interest. 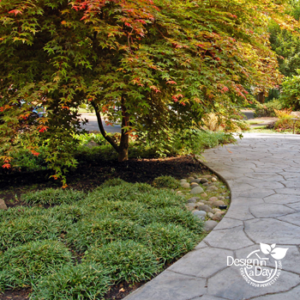 They have instant appeal and we designers are suckers for plants that soften pathways and make a dramatic statement. They are a staple in modern landscape style. However, grasses have a bad reputation. I’ve had to reassure more than one new client the grasses I use don’t spread or reseed. My years of experience with plants means I’m slow to use the untested new plants, including grasses. I’ve seen too many new industry introductions (plants) that looked like a good thing turn into thugs after a few years in a garden. Most of my clients say weeding is the worst of the outdoor chores so I shun plants with potential for adding weeding to the maintenance list. I’m writing this blog during my winter break when I research new plants and prepare for another busy year designing Portland gardens. I confess to being a teeny bit bored with my tried and true grasses. 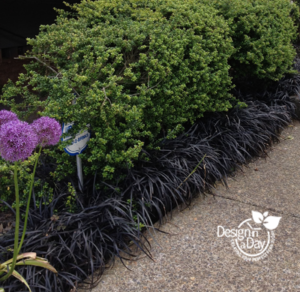 Designers are concerned about grasses that seed and make weed problems for our clients. The Mexican Feather (Stipa tenuissima) Grasses are highly desirable because they are so finely textured the slightest breeze sends them into graceful sway. They are over the top beautiful! 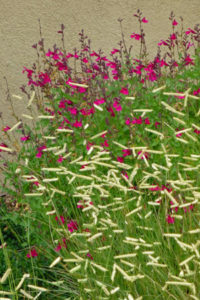 They can seed some or a lot and they are the darlings for xeriscape or low water gardens. This grass is perfect for many dry and hot natural areas in California and (so naturally enough) it is on their noxious weed list. I don’t use Mexican Feather Grass but I have wanted to…they are unique, beautifully blowzy and are a stunner for modern minimalist designs. I have a local gardener pal who has them in her large Portland modern garden design to fantastic effect. People who are gardeners with a capital ‘G’ may keep up with weeding out the unwanted grass seedlings. Still, all it would take is a distraction, health problem, or too much overtime, and this grass would be seeding into a new planting bed at your property and then your neighbors! Part of hiring an experienced designer is the safety margin we bring to the design process. Bouteloua Gracilis or Blue Grama Grass ‘Blonde Ambition’ moves in the breeze like living art. Bouteloua gracilis or Blue Grama Grass ‘Blonde Ambition’ relieves my boredom in a flash and is a great substitute for the wildly popular Mexican Feather Grass. 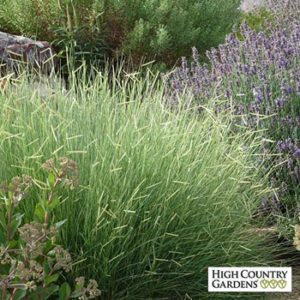 Discovered by David Salman of High Country Gardens, this plant has all the drama of Mexican Feather Grass but won’t seed around. It’s very dramatic looking with a flower head that juts to one side like an eyebrow. It’s evergreen and moves beautifully in the breeze so it’s not just a plant, it’s living art. Switch Grass Panicum virgatum ‘Shenandoah’ is a colorful Good Grass. 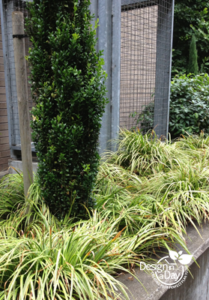 Another great grass for our Pacific Northwest landscapes is Switch Grass. Although there are many varieties, Panicum virgatum ‘Shenandoah’ is a lot of fun…for a grass. It emerges in the green tones, then quickly adds red coloring throughout the summer. The tiny garnet seeds are nice and airy, followed by a great fall show. To top it off, this grass is well-behaved and drought tolerant once established. 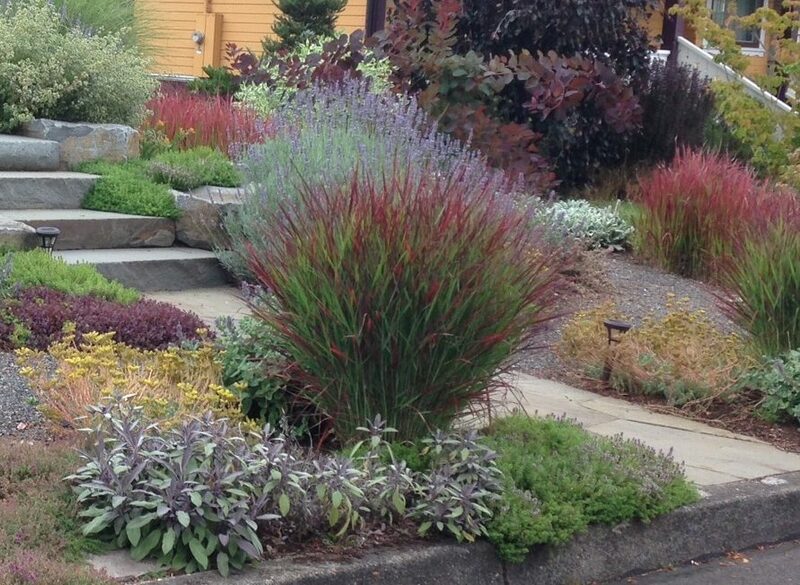 Grasses can be very useful additions to a low maintenance landscape. For the ones listed here, cut the plant down in February to a few inches tall, scuff the crown of the plant and pull away any loose grass stalks from the crown. It will thrive in a lighter soil mix with lots of sun. 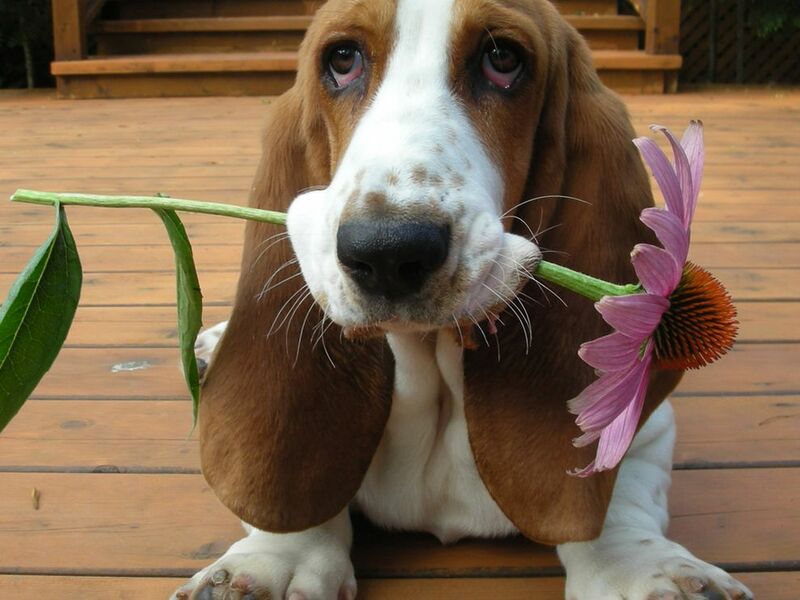 It prefers no fertilizer, low water and can be fully drought tolerant after established. To kill these grasses, plant them in heavy clay and over water them. 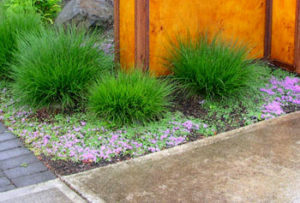 I’m excited about adding these good grass to xeriscaping planting plans in the coming year. 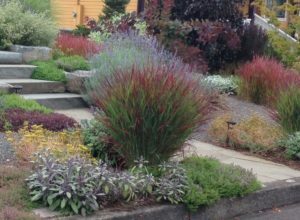 If you are looking for low maintenance landscape design, contact me to learn more about grasses for your Portland area garden. Kris Jones is a professional graphics designer of Red Door Designs. She hired me to help her with what seemed an impossible task. Kris wanted a private outdoor dining lounge in her tiny front landscape that was next to a public sidewalk. She told me on the phone that the property was so tiny there was no additional outdoor space. While I was hired to create a design for the front, on the day I arrived the back porch was being torn down. I immediately realized we had the perfect opportunity to design a covered private dining room. The front dining patio idea had problems: too far from the kitchen, too public, and we couldn’t do tall screening plants without removing natural light from her living room. The end result is a semi public sitting area in a front courtyard patio that looks like a million bucks and a small, but highly functional, private dining room directly off her kitchen. I could see she had room for an 8′ x 8′ area, Kris needed a second pair of eyes to see the possibilities. “Carol is not only fun to work with, but she is a creative out of the box thinker who is thoughtful, and has a deep knowledge of her subject. She is incredibly talented and helpful. She helped me put together a plan for my front patio area and my back covered porch. Now both areas feels like shangri la. I don’t have a green thumb and Carol was able to break things down in a way that really made it easy for me to achieve my exterior planting goals.